We are so enamored by this idea and think every kid should try it at least once. 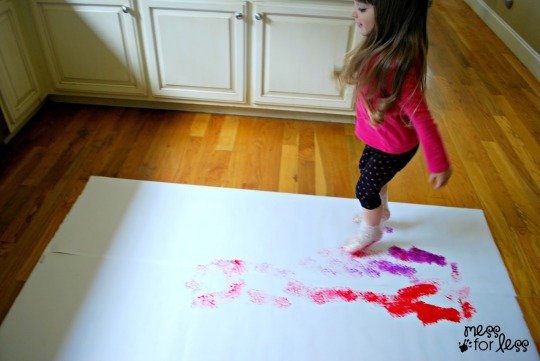 Of course, it’s a little bit messy for an indoor activity, but completely feasible for those upcoming fall rainy days - just make sure you let the kids know that they need to stay inside the paper when stomping around with paint on their feet! To set up the painting surface, you will need to roll out two or three long lengths of easel paper next to each other. Cut the easel paper and tape it down to the floor. Squirt some paint on a paper plate as a palette. 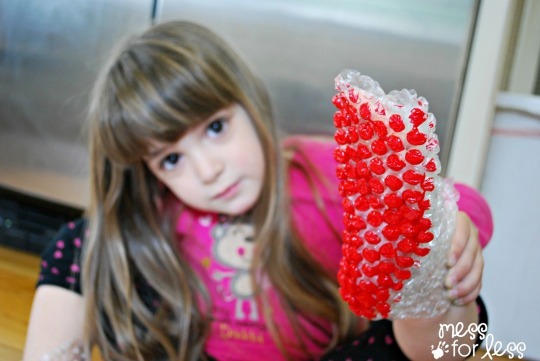 Cut a length of bubble wrap, wide enough to make a little boot on your child’s bare foot. Loosely wrap and tape the bubble wrap around your child’s foot. If your child is wearing long pants, pull or roll them up. Dip your paintbrush in the paint and paint the bubble wrap on the bottom of your child’s foot with the different colors. Now it’s time to paint! 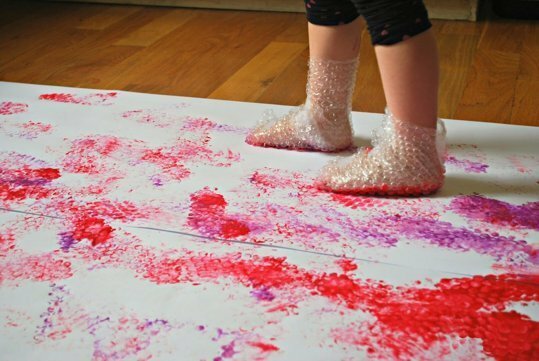 Your child can walk across the paper with the painted bubble wrapped feet. Be sure to carefully supervise your child during this activity just in case the paint gets a little slippery!